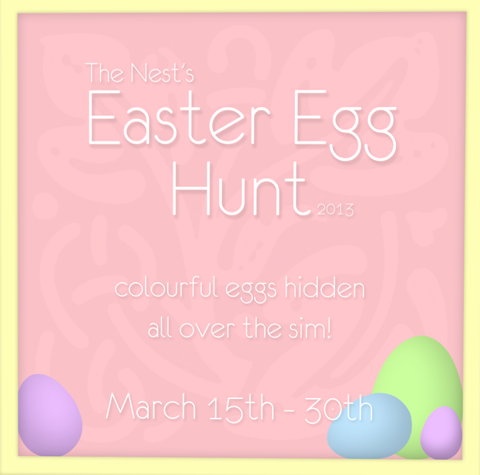 Lots of Easter eggs are hidden all over the sim. 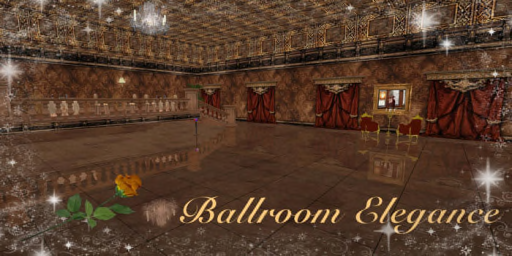 Find the eggs to get the gifts (Alouette, Apple Fall, barnesworth anubis, beach street, Circa, Cheeky Pea, Cleo Designs, DIGS, End of Daze, floorplan, lame, Morrigans Closet, Organica, Senzafine, sanctuaire, what next, Zigana, Zinnias). This hunt ends today.